All for one and one for all. 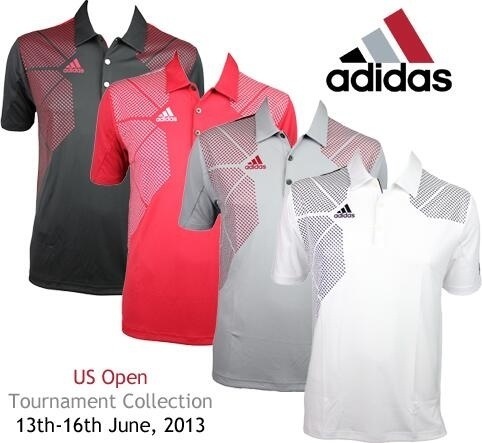 That has been the theme for Taylor Made Adidas Golf at the Masters, The Players Championship and now at the U.S. Open. Rather than scripting individual players, all members of Team Adidas will be wearing the same script again. Maybe the scripting department at Adidas took the year off, or maybe it’s a clever way of camouflaging Sergio Garcia as a member of the team. One thing is for sure, this concept generates a lot of buzz in the social media world–positive and negative. The USGA is known for having a sense of humor with the pairings for the first two rounds of the U.S. Open, and I was really hoping they would have paired Dustin Johnson, Jason Day and Sergio Garcia together to see the Adidas Army marching down the fairways. Sadly, this is not the case. 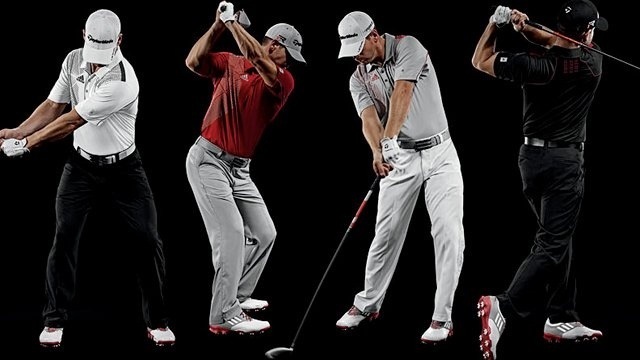 You may have been expecting red, white and blue as Adidas’ theme for the U.S. Open, but the brand has opted for red, white, grey and black. This color scheme is more likely a tribute to the red wicker baskets that adorn the top of the red and white striped flagsticks at host course Merion, rather than any connection to the colors of the U.S. Open. Each shirt features the same bold color block design across the chest and shoulders with the Adidas logo on the right chest and three stripes on the back of the left sleeve. Expect Adidas players to stick to the script outlined below over the four tournament days. I say “expect” because Jason Day failed to execute the script at the Masters by confusing the Friday and Saturday uniforms. Hopefully someone will give him a calendar at Merion. Adidas has just released a new grey/blue/white colorway of the ultra-lightweight Adizero shoe and is also creating a limited edition U.S. Open colorway (grey/red/white) that will pair well with the U.S. Open shirts. The grey/blue/white colorway is available now. The limited edition shoe can be pre-ordered with a ship date of June 16th. 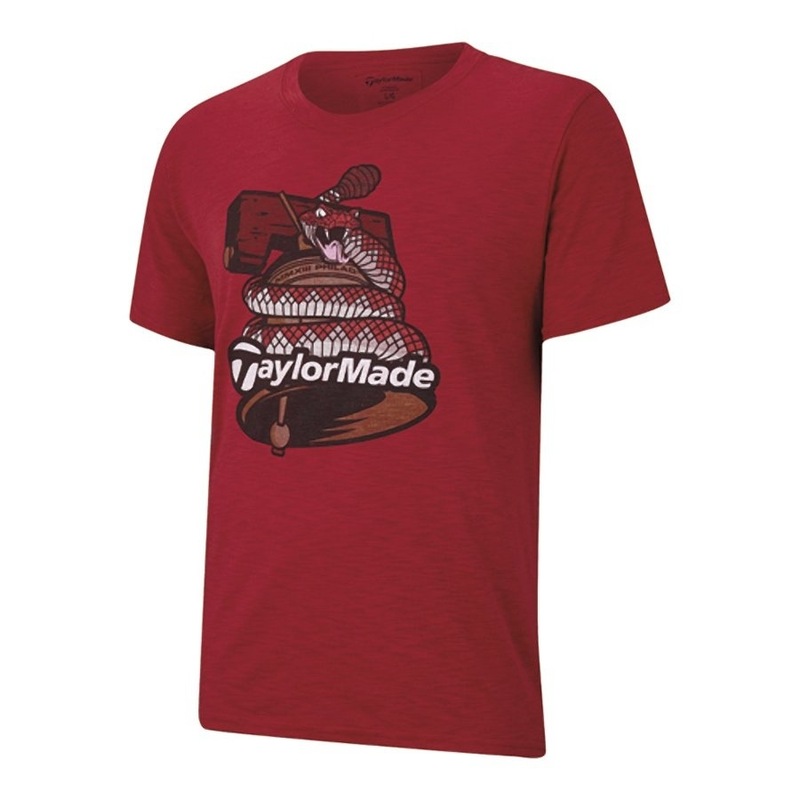 In addition to Adidas’ on-course shirts, Taylor Made has created a cool-looking t-shirt that is available in either red or grey. The design on the front of the shirt, a rattlesnake wrapped around The Liberty Bell, is filled with symbolism. Even casual fans will recognize The Liberty Bell as a symbol of America’s freedom and a historic icon of the host city, Philadelphia. The rattlesnake, however, requires some knowledge of U.S. Open history at Merion. It is a tribute to the rubber snake that Lee Trevino toted around Merion on his way to the U.S. Open title in 1971. As legend would have it, the charismatic Trevino used the snake to interact with the galleries and even tossed it Jack Nicklaus’ feet on the first tee of their 18-hole playoff (see the video below). The snake’s rattle has been replaced with a red wicker basket–another nod to host course Merion and its unusual flagsticks.